Always seeking art instruction, she has studied Fine Arts at the Carnegie Institute of Technology (now Carnegie Mellon Univ. ), Community College of Allegheny County, Kathleen Zimbicki’s watercolor classes for many years at the Pittsburgh Center for the Arts and workshops by Miles Batt, Skip Lawrence, Alex Powers, Fran Larsen, Katherine Liu, Mary Ann Clarke and Frank Webb. 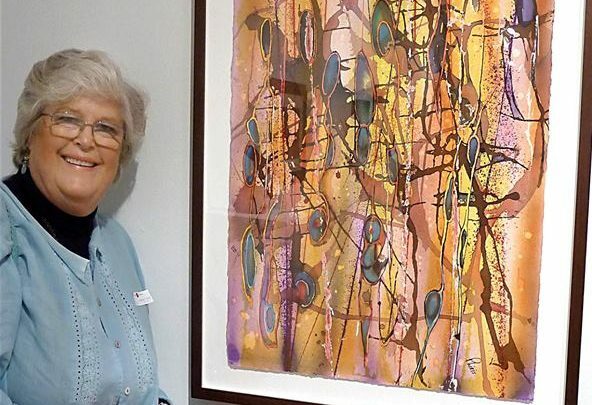 Phiris is a board member of the Pittsburgh Society of Artists, past board member of the Associated Artists of Pittsburgh, President of the Pittsburgh Watercolor Society, member of the East Suburban Artists League and co-manager of the Eastside Gallery. She has participated and won awards in numerous juried and group shows.